A fun trip that will take you from high country in the north to the lower part of Box Canyon in the south, with a visit to Apache Dam along the way. Much of the trail is in the Prehistoric Trackways National Monument. 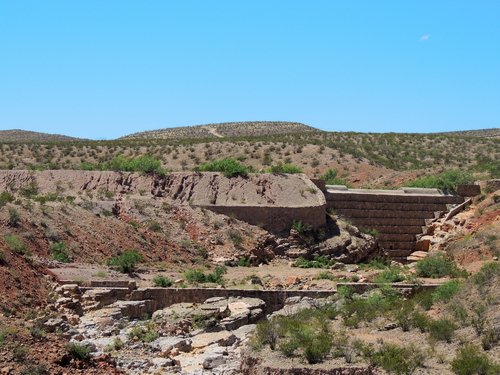 We did the Jeep trail by starting on the north end, visiting Apache Dam then dropping south and circling back west toward Box Canyon. 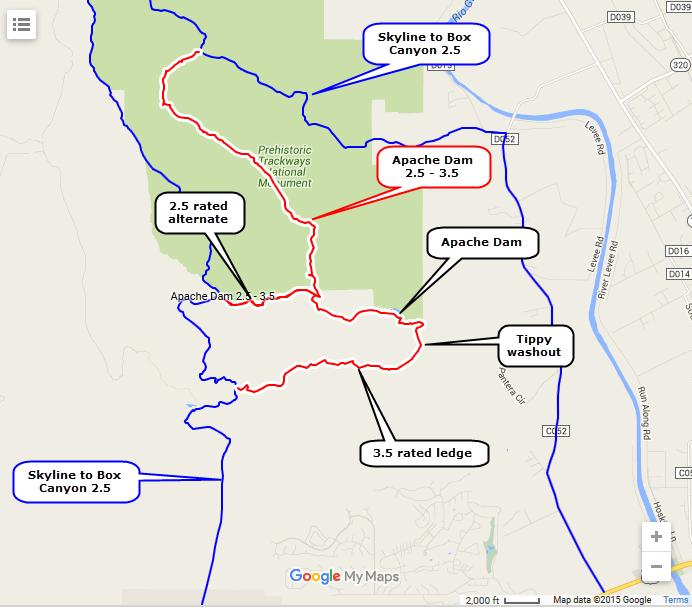 Note that there is a tippy washout to cross and a 3.5 rated ledge to climb if you do the full trail beyond Apache Dam in this direction. The washout is intimidating if you do not like off-camber situations, but it is certainly passable. The 3.5 ledge is easier if done in the other (down) direction. If you do not like the sound of these two places you can take the 2.5 rated alternative. This region is riddled with trails, and this is only one of many ways to get through it.